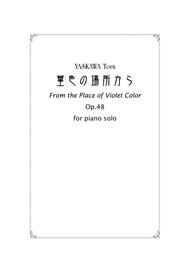 Composed by YASKAWA Toru. 20th Century. Score. 5 pages. Published by HALF CAT (S0.261039). 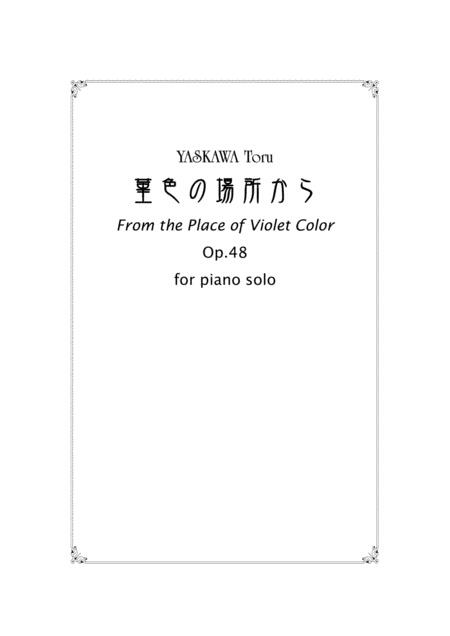 Piano work "From the Place of Violet Color" Op.48 composed in 1995.